Our newest addition to our popular ground thawing line is the TD-300 Thaw Devil. This model shares many traits with its bigger brother the TD-600 and is a great asset when working in colder climates. 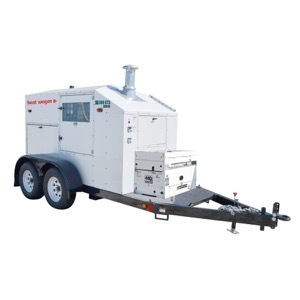 Both Thaw Devil models can be used to either thaw frozen ground or help speed up the curing process on concrete projects. Be sure to view all of the details on the TD-300 on its product page today!